Claire Wright is desperate. A British drama student in New York without a green card, she takes the only job she can get: working for a firm of divorce lawyers, posing as an easy pickup in hotel bars to entrap straying husbands. But then the game changes. When one of her targets becomes the suspect in a murder investigation, the police ask Claire to use her acting chops to lure him into a confession. From the start, she questions the part she’s being asked to play: Is Patrick Fogler a killer? Or is there more to this setup than she’s being told? Claire will soon realize she is playing the deadliest role of her life. 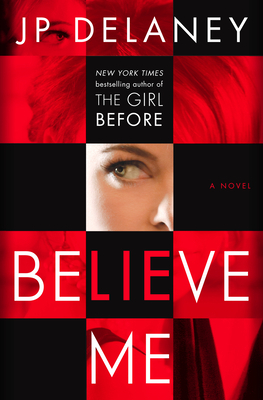 The New York Times bestselling author of The Girl Before and Believe Me, JP Delaney has previously written bestselling fiction under other names.